So after the fantastic re-303 the Gilbert was just released yesterday! I ordered 3x 1 for me and 2 for people.im building for, anyone else scored? Gilbert is a small format analog monosynth inspired by what we consider to be some of the best era of Roland™ machines from the late 70s/early 80s. It has a nice “rubbery” tone that will be familiar to all acid aficionados and makes a great supporting voice for your RE-303. Gilbert can be thought of in a couple of ways. 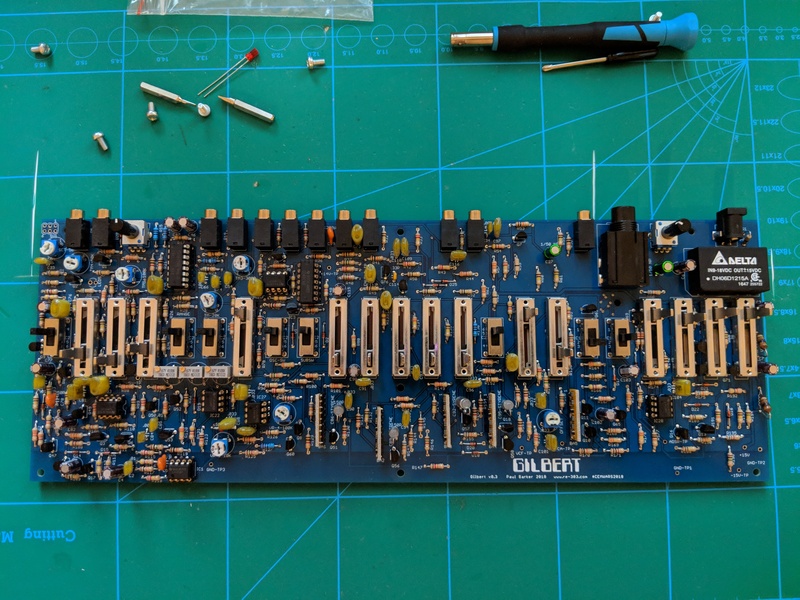 On one hand you have a fully fledged analog monosynth and on the other hand due to its I/O connections you could think of Gilbert as a eurorack module in a synthesizer format. Of course combinations of both also work, anything is possible. Monosynth based on the “best” era of Japanese analog synthesizers. I´ve tried to resist, but it was just stronger so waiting for the kit as well! It needs a 12V gate? You just sent me mine, I am curious if it still requires +12v? if so, can you tell me which resistor needs to be exchanged and what the replacement would be? or is this covered in the instructions? I only just received, so haven't read everything yet. "5v﻿ gate mod should be to change R164 from 330K to 1M,﻿﻿﻿"
Sorry for Offtopic, but where could I buy Gilbert? I haven't found a discussion about this after the 1st run was completely sold out. Thanks. There was just recently a batch sold! Keep an eye on Dinsyncs instagram! Fabulous, thank you! I will source one today! So, theres this teensy little unmarked cap. I wasn't about to measure the capacity, and so was not able to verify it during my BOM review. I assume this is the 33p for C114, but was not 100% confident in this. Can someone confirm this? also, I am new at this, can someone give me some tips for identifying parts with no printed labels? So, now I think this might be the NJ28MA0103H. Any tips would be helpful! Heads-up, more kits are live in the shop. 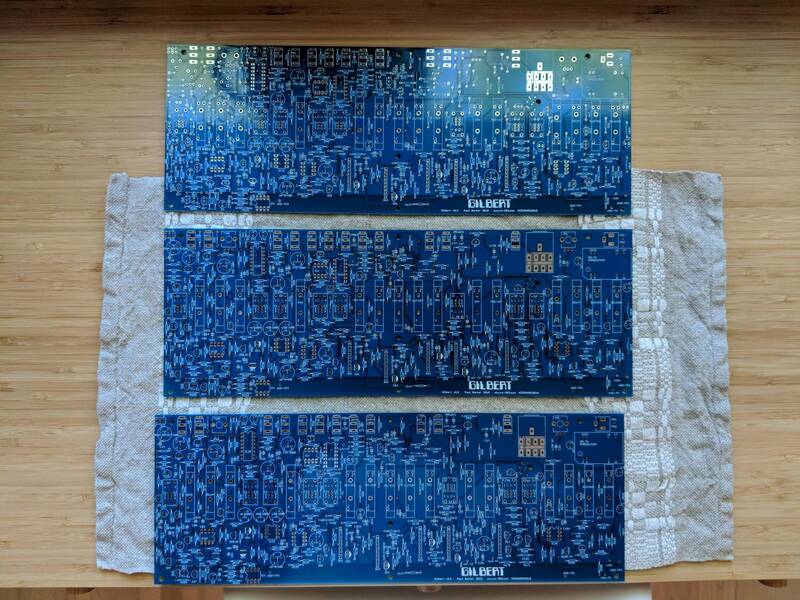 This round are all “light” kits, which include PCB, panel, and all rare/custom/difficult-to-source parts, while leaving the more standard components (resistors, caps, etc) for the builder to source. A bit cheaper, and probably handy for people who have a significant parts stash handy. A bit cheaper, and probably handy for people who have a significant parts stash handy. For anyone else sourcing parts, I just made my order. Almost everything you need can be bought from Tayda. The only bits I couldn’t find there were the 28k and 1k69 resistors, the bipolar electrolytic caps, the multi-turn trimmers, and the styrene caps. From there, basically everything else can be bought from Arrow (cheaper than Mouser + free shipping + DEC10 10% coupon). I went ahead and ordered the ICs from Arrow, as I tend not to trust Tayda ICs and it was only a few dimes difference in price. The only part that can’t be had from either Tayda or Arrow are the styrene capacitors. They are available on Mouser if you’re planning to make an order there anyway. 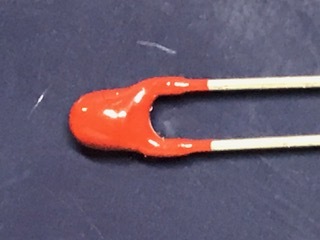 I did a bunch of reading on capacitors last night and came to the conclusion that despite the BOM and part designators specifying styrene, it’s probably not critical—any high quality cap *should* be okay here. Styrene was likely selected for the original design because it was the only suitably temp-stable dialectric at the time, and was likely selected in the Gilbert just to be faithful to the originals. Someone on the Gilbert forum reported using WIMA polypropylene caps successfully (available on Arrow), and C0G or NP0 caps I believe should also work okay. Total parts cost after placing orders at Tayda and Arrow was lower than I expected: $18-19 shipped. that looks more like the thermistor on my board, although mines a maroon color. You are right! Got tricked by the photo since but looking at my thermistor now and its definitely the thermistor! The caps I mentioned have broader body, my bad. 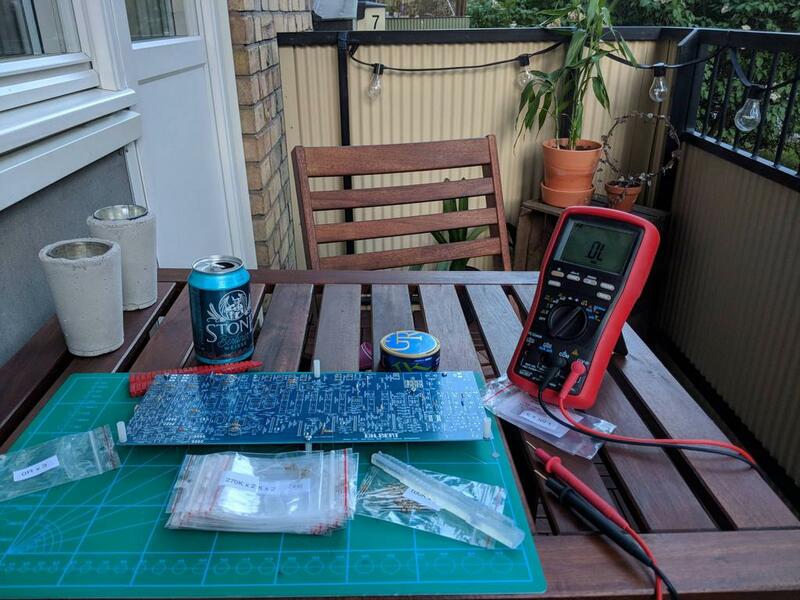 Since I'm too lazy to wait for slow shipping from Tayda (+in sweden you get slapped with a nice and shiny asian import admin fee of 7.5 EUR) I added the IC sockets and single turn trimmers to the mouser cart. (I didnt bother cost optimizing it). Wow, aabbcc, building *more* Gilberts? You may have built more than Paul himself at this point. Thanks for the Mouser cart, always really handy as a reference. Wow, great - thanks a lot! Now, before I do anything stupid or at least hasty: This mouser cart plus the reduced kit togetehr makes a complete kit, right (without the BA662s of course, wich I'll build myself now)? Apart from the unlucky timing I could not hold back from mourning about above the Gilbert kit shipped and reached me incredible fast! Very much looking forward to build it now. Now, before I do anything stupid or at least hasty: This mouser cart plus the reduced kit togetehr makes a complete kit, right (without the BA662s of course, wich I'll build myself now)? Jealous of all you Europeans who have your kits already! Mine will hopefully be here sometime next week. Also, just gotta say it’s gonna be nice to work on a project that isn’t quite so involved (or enormous) as the TTSH I finally finished recently.